Katie is a Licensed Clinical Social Worker (LCSW) who earned her Master’s Degree in Social Work from the University of Chicago. Katie believes it is her role to make therapy a safe, nonjudgmental, and affirming space where she can support her clients on their journey of self-discovery. 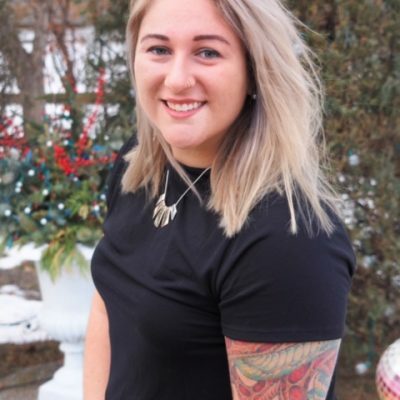 Katie approaches the therapeutic relationship collaboratively, focusing on individual strengths, strengthening personal agency, and providing space for radical acceptance and empathy throughout treatment. Katie’s areas of specialty and clinical interests include adolescents, young adults and families, substance use, co-occurring disorders, anger and stress management, anxiety and depression, gender, sexuality, self-esteem, women’s issues, and trauma. Katie’s approach incorporates techniques from trauma-informed, strengths-based, DBT/CBT, acceptance, relational, and solution-focused therapies to find the best fit for her clients’ individual needs and goals.